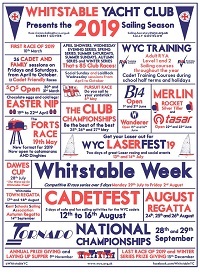 Calling all cadets & families to join in with the fun at Whitstable Yacht Club! Come along to meet your friends, get on the water, and learn some new tricks! Whether you want to meet up with friends in our club house, explore the beautiful Whitstable coastline, get on the water to learn about the sea, jump on a windsurfer, or race dinghies against some of the finest sailors in the country, WYC is the place for you! Want to become a member of Whitstable Yacht Club? Click here for more information! It’s great for children to get familiar with the beach and sea, and we welcome children of all ages. Cadet sailing sessions are held throughout the sailing season, as well as parties and gatherings during the winter. RYA endorsed courses start from age 8, and informal Cadet and General Sailing sessions are held throughout the sailing season, as well as parties and gatherings during the winter. The regular sessions throughout the year are labelled as “Cadet and Family Sailing Sessions” in the Sailing Schedule and are run by an RYA Sailing Coach along with volunteer parents. We aim to put an event on whatever the weather. We welcome volunteers and new ideas so if you wish to join in please contact our Sailing Development Officer. Cadets and families are also encouraged to sail in our racing programme. Racing is an ideal way of improving your sailing skills, and maybe even picking up some prizes! 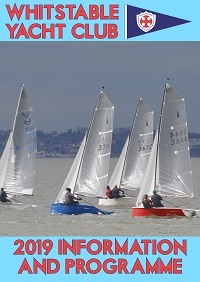 The full sailing programme can be found at wyc.org.uk/on-the-water/schedule. To find out more about class racing, contact the Class Captain for your boat.